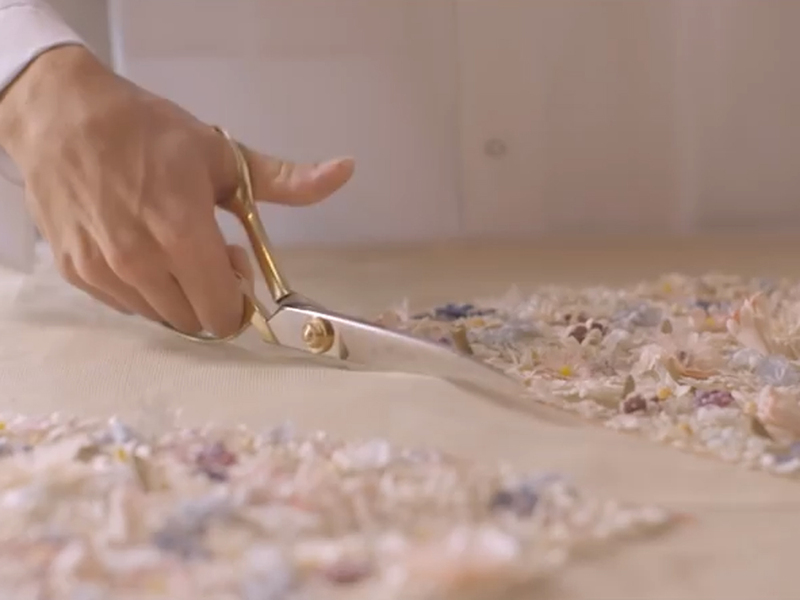 A beautiful new video released by Christian Dior last night showcases the incredibly intricate work that goes into making a couture gown. Produced in Dior Couture’s Atelier de Fleurs Lemarie in Paris (that’s an executive headquarters for flowers and feathers, to you and me) the Le Petit Théâtre Dior film shows the from-scratch production process of a mini–sized 1949 Miss Dior couture gown, worn in the house’s original perfume ads. We could probably squeeze into it if we breathed in a lot though, right? Each silk organza flower on the fully embellished bodice and skirt is perfectly cookie-cut, before being painstakingly hand-pressed, plucked and tweezed into shape. You can’t watch this video without feeling in awe of the craftsmanship. Or wishing you had a spare £25k to get one for yourself.